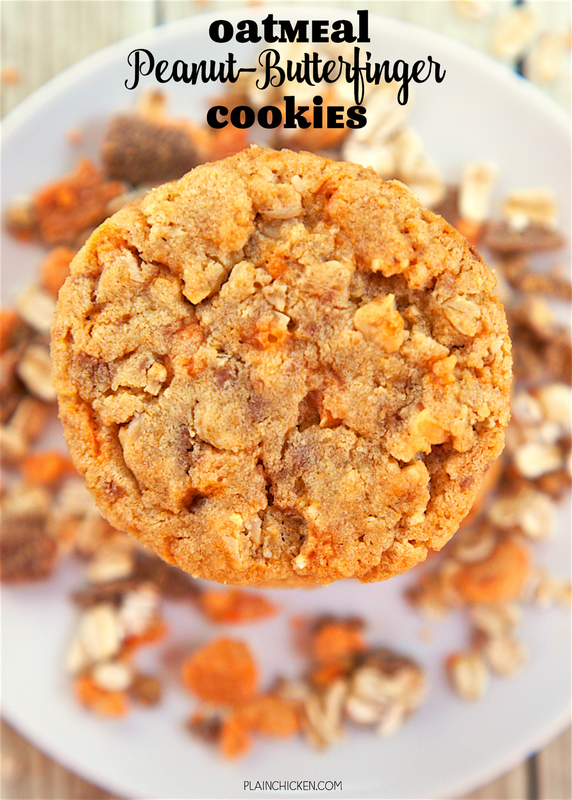 Oatmeal Peanut-Butterfinger Cookies - peanut butter, oatmeal, Butterfinger bits, eggs, flour, baking soda, brown sugar, white sugar and the secret ingredient - LouAna® 100% Pure Coconut Oil. Our new FAVORITE cookie! I love everything about these cookies!! Can make ahead and freeze dough for later. Took these to a party and they were gone in a flash! I absolutely love everything about these Oatmeal Peanut-Butterfinger Cookies! 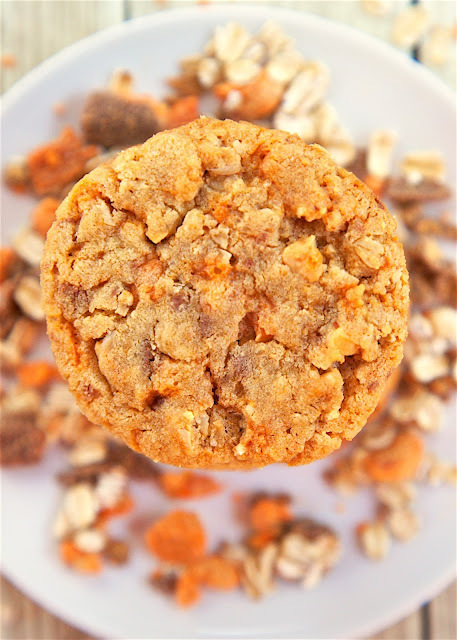 Peanut butter, oatmeal and crushed up butterfingers - what's not to love?!?! All of my favorites in one cookie. We ate WAY too many of these! I had to give half of them away to keep from eating them. Dangerously good! 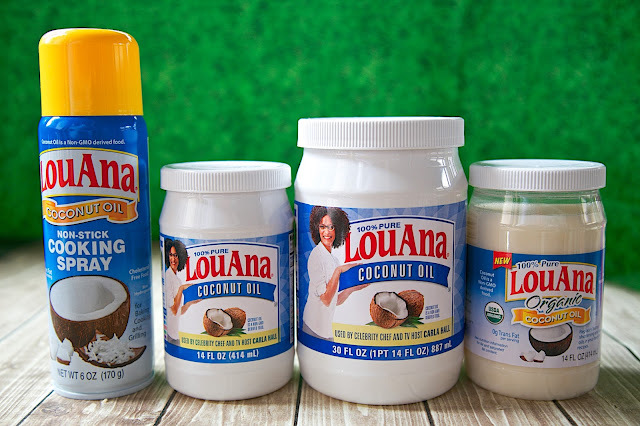 LouAna® 100% Pure Coconut Oil is vegan, non-GMO and contains zero trans fat and no cholesterol. Woohoo! Switching to coconut oil is super easy! It is a 1:1 substitution with butter, lard or vegetable oil. I love using it in cookies because I don't have to wait for the butter to soften before mixing the dough. I just scoop out the coconut oil and start baking. LouAna® 100% Pure Coconut Oil is not only for cooking. You can use it as a moisturizer, make-up remover and even hair treatments. I keep a jar in the kitchen and one in the bathroom. Go to http://louanacoconutoil.com for more recipes and DIY beauty recipes. Preheat oven to 350ºF. Line baking sheet with parchment paper and set aside. In a large bowl of a stand mixer, cream together LouAna® 100% Pure Coconut Oil, brown sugar, white sugar, and peanut butter until smooth. Beat in eggs, one at a time, until well blended. Combine the flour, baking soda, and salt; stir into the creamed mixture. Mix in the oats and Butterfinger bits just until combined. Using a medium cookie scoop (approximately 2 Tbsp), scoop dough onto parchment lined baking sheets. Bake for 11 to 13 minutes , or until just light brown. 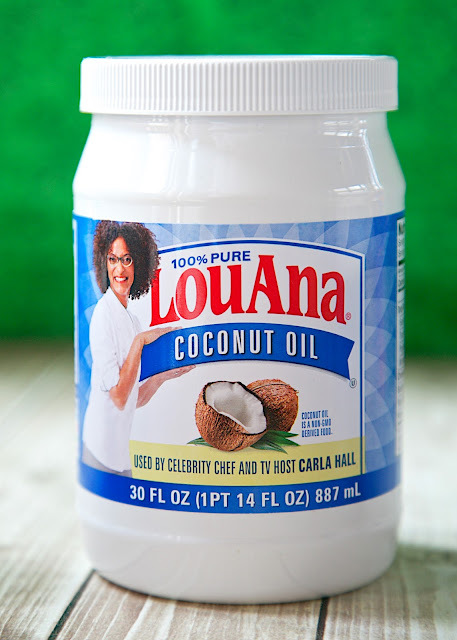 This is a sponsored conversation written by me on behalf of LouAna® 100% Pure Coconut Oil. The opinions and text are all mine. 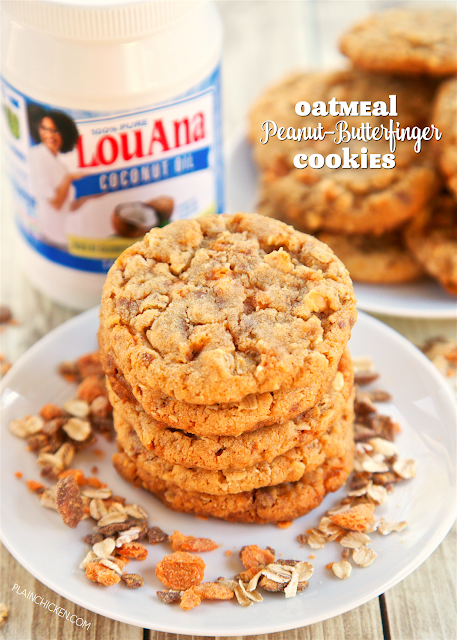 Definitely making these - and lo and behold I have everything -- even the coconut oil AND the butterfinger baking bits!! I promised our missionaries, whom I bake and give stuff to each Sunday, that I would do something healthy. They said well we love unhealthy -- so I think this fits the bill!!! Thanks again for all you do - and hope the meows are behaving themselves!! So with the coconut oil, when it is harder do you just put it in the cup without packing it in or do you heat it up to a liquid consistency first? I used it solid and pressed it in the measuring cup. It was a little harder than shortening. If you have a kitchen scale you can measure out 8 ounces of the coconut oil. Enjoy! I didn't have quite enough coconut oil, so I added Crisco to get enough, also used creamy peanut butter instead of crunchy. They turned out better than any cookie I've ever made in my life!! Thanks so much for sharing this recipe!! Is the coconut oil a regional item? I've never seen it in the store. Can you substitute Crisco? It is not a regional item. It can be found nationwide. People! These cookies are the best cookies I have ever made in my life! So chewy and a great flavor combination. Trust me and go make these!! SO glad you enjoyed them!!! I have zero self-control around these cookies. SO good! Allergy to coconut. It causes a fever!! Unbelievable, but true. Can I use crisco instead?